Watch Ray Donovan Season 3 Episode 4 online via TV Fanatic with over 9 options to watch the Ray Donovan S3E4 full episode. Affiliates with free and paid streaming include Amazon, iTunes, Vudu, YouTube Purchase, Google Play, Showtime Anytime, Showtime, Verizon On Demand, and Showtime (via Amazon Prime). 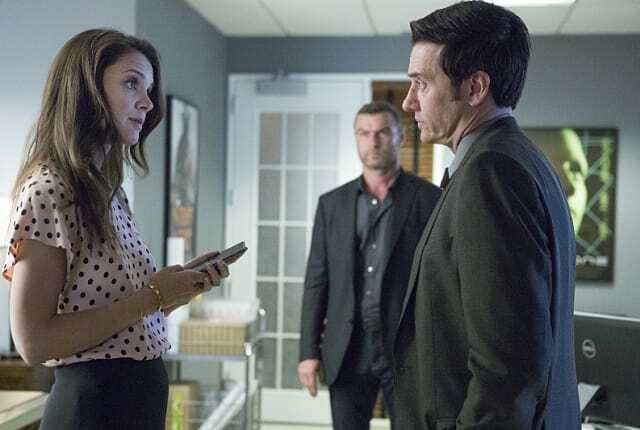 On Ray Donovan Season 3 Episode 4, Ray puts on fires while Paige tries to broker a deal and Abby visits Boston. Meanwhile Paige wonders how far he'll go for her dad.